National Nutrition Month is coming to an end so I want to share one more recipe that includes all 5 food groups! Smoothies are one of the easiest ways to get in nutrients. They are quick to make and can be tailored to your palate preference. 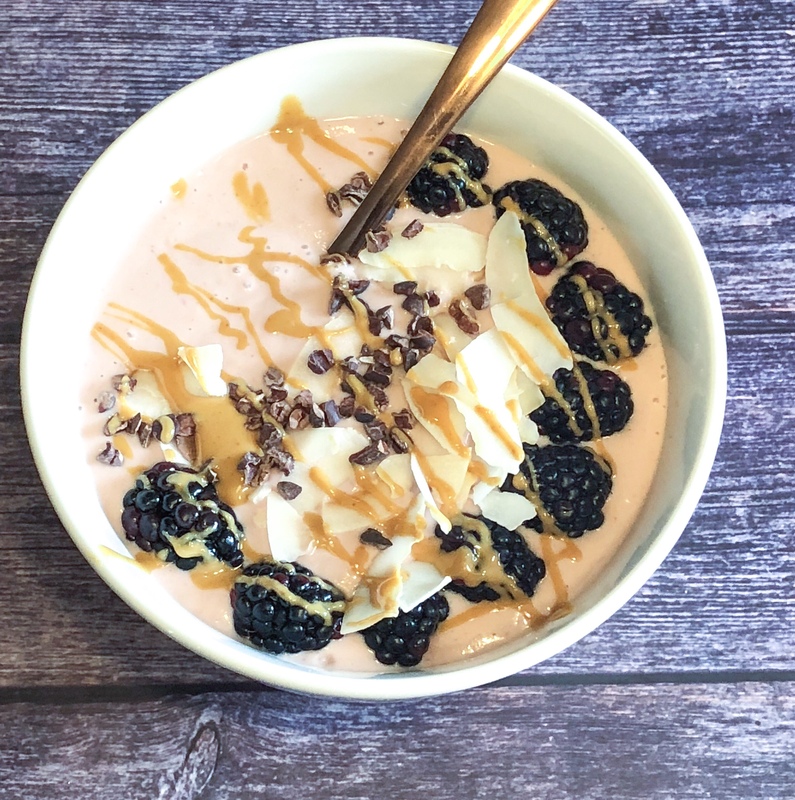 This can be eaten as a smoothie bowl or consumed as a regular smoothie. When making a smoothie, it is important to include fiber and protein to help you stay full until your next meal. I also like to add some healthy fats to my smoothies including flaxseed or hemp hearts. I like to top my smoothie bowl with coconut chips, cocoa nibs and fresh fruit and nut butter. The good in this? Potassium! The strawberries, banana and nuts contain Potassium which is important for heart health. Plus, the fiber found in the fruits, vegetable, nuts and oats help support GI health! Blend all ingredients until smooth. Add ice if needed to thicken smoothie to desired consistency. Drink in a glass or pour in a bowl and use desired toppings.